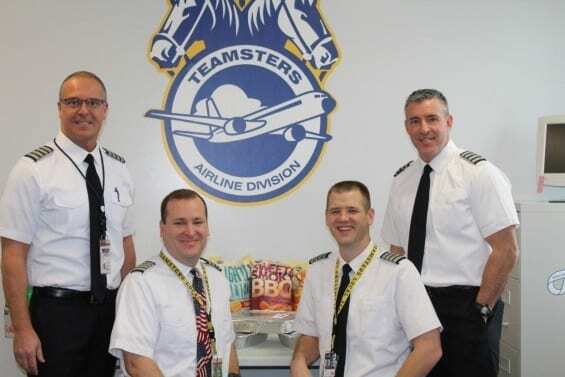 Yesterday, as a gesture of union solidarity, members of the Teamsters Local 357 Executive Board led a group of Teamsters employed by Republic Airline on a visit to the Indianapolis International Airport Terminal Radar Approach Control Facilities (TRACON) to bring lunch to air traffic controllers. The air traffic controllers, who have been working without pay due to the government shutdown, are members of the National Air Traffic Controllers Association. Local 357 President Josh LeBlanc is a Republic Airline Pilot who has been with the company for over 18 years. He emphasized that the government shutdown was having a negative impact on pilots not just at Republic Airline, but all across the country. “We are doing this to show solidarity with our brothers and sisters in aviation who are affected by the federal government shutdown and to bring awareness to the many different issues this continued shutdown is creating,” LeBlanc said. The Best Places to Go Cross-Country Skiing and Snowshoeing! What will hotel guests want from in-room entertainment this year?